The New York City Art Commission was created in 1898, in response to the City Beautiful Movement, to regulate public art and architecture. The New York City Art Commission was created in response to the City Beautiful Movement after the 1893 World Columbian Exposition in Chicago. 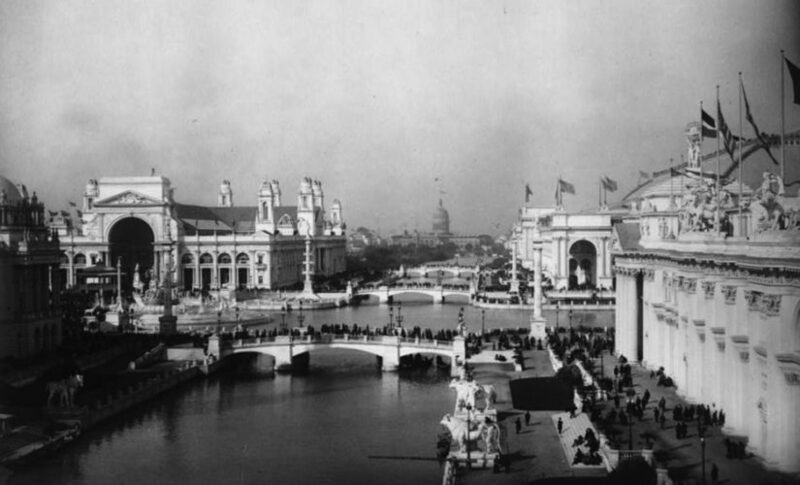 The fair established the idea that cities could be beautiful by regulating public art and architecture. John Merven Carrère, a partner in Carrère and Hastings, had a vision to beautify New York City by creating an agency that would approve designs for public art and architecture. In 1896, Carrère proposed this idea to the Fine Arts Federation, which agreed that such an agency was needed. In terms of historic preservation, the New York City Art Commission represented the earliest efforts for aesthetic regulation. Since the City chartered the agency, the Commission had the legal means to approve public art and architectural designs before the passage of the Bard Act (1956) and the New York City Landmarks Law (1965). These ideas had been percolating among civic activists including Albert S. Bard and art organizations such as the Municipal Art Society. One of the Commission’s first preservation-related efforts was in 1913, when the Art Commission composed a list of 50 structures that held historic and architectural merit. The list was created in part to protect structures that were in threat of demolition. Frank Cousins, reputable historian and photographer, was hired by the Art Commission to photograph the structures. Although it is unclear whether or not this list inspired the 1950s list of aesthetically and historically significant sites developed by the Municipal Art Society (MAS), it certainly opened the dialogue of preserving important buildings in New York City.10 Parks Commissioner Francis Gallatin had a vision for developing a commission that would have the responsibility to designate historic resources for protection. In addition, he felt the Art Commission should be granted the power to “veto the designs of buildings” that did not “harmonize” with their historic counterparts.11 In 1923, Gallatin organized a meeting with Mayor Hylan, however, his plans never came to fruition. Nevertheless, his prescient ideas for a landmarks law and a commission planted the seeds for a growing movement seeking to pass legislation to protect historic structures. Gregory F. Gilmartin, Shaping The City: New York and the Municipal Art Society (New York: Clarkson Potter, 1995), page 22. Anthony C. Wood, Preserving New York: Winning the Right to Protect a City’s Landmarks (New York: Routledge, 2008), page 34. Michele H. Bogart, The Politics of Urban Beauty: New York and Its Art Commission (Chicago: University of Chicago Press, 2006), page 61. Douglas McGill, “Uncovering New York City’s Art Collection,” The New York Times, 24 September 1987. Anthony C. Wood, Preserving New York: Winning the Right to Protect a City’s Landmarks (New York: Routledge, 2008), pages 34 and 36 . Staff, “A City Beautiful Is Gallatin’s Hope,”The New York Times, 7 January 1923. Michele H. Bogart, The Politics of Urban Beauty: New York and Its Art Commission (Chicago: University of Chicago Press, 2006), pages 195-196. Robert Caro, “And When the Last Law Was Down…” The Power Broker: Robert Moses and the Fall of New York (New York: Random House, 1974). “Aquarium Becomes A U.S. Monument; Action on Castle Clinton at Battery Taken After City Deeds Site to Government…” New York Times, 19 July 1950.